Featuring a beige raw silk blouse embellished in stone and kardana all over. 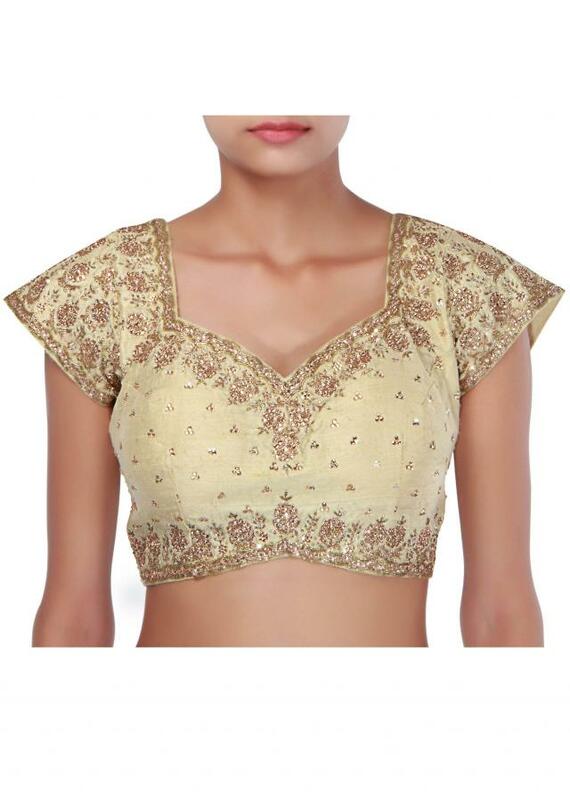 Neckline is in diamond style. It has embellishment on the back as well. 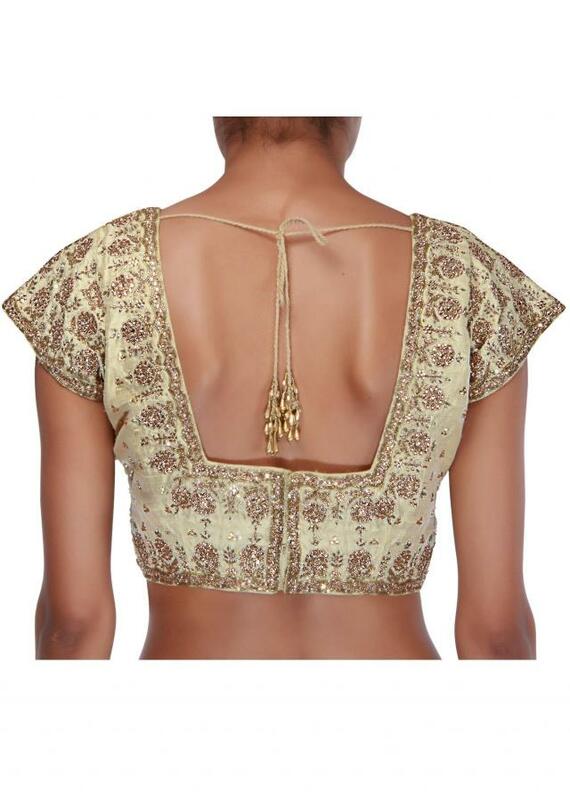 Back neckline is in square with a tie-up dori.